The teapot is carved to the body in high relief with overlapping lotus petals and the cover with further petals and a lotus pod finial. The stone is of a celadon tone with some mottled inclusions. 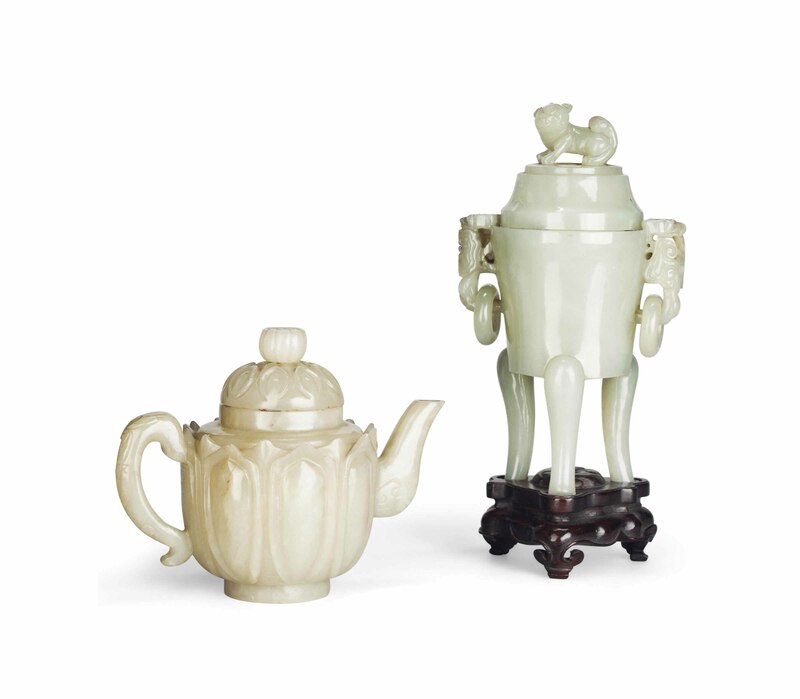 The censer is applied with twin ruyi-shaped loose ring handles. Its domed cover is carved with a finial shaped as a mythical beast. The stone is of a celadon tone with some mottled inclusions.